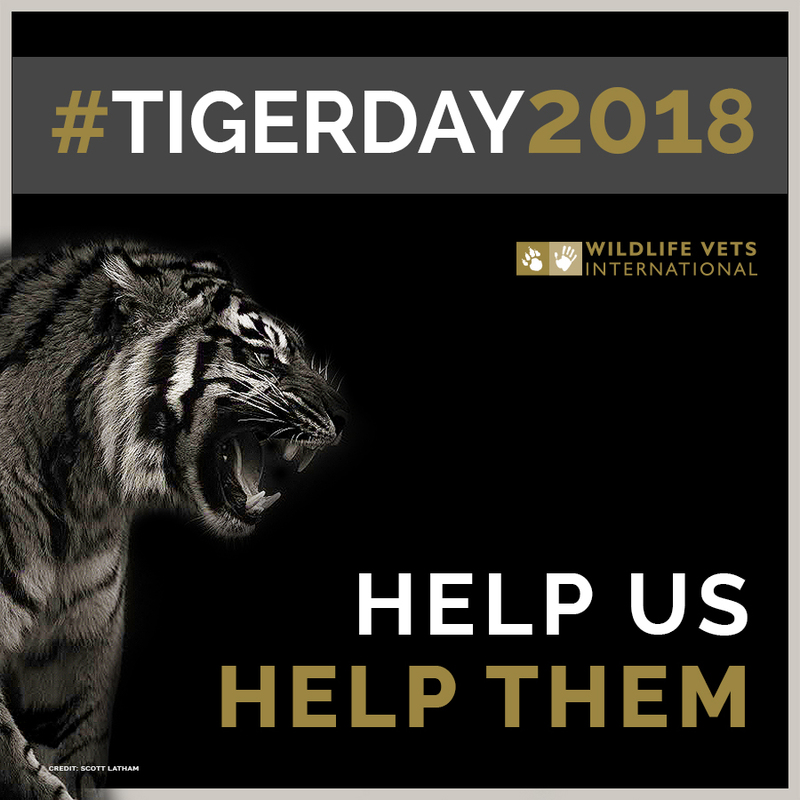 Global Tiger Day, 29th July, was launched in 2010 – the last Chinese Year of the Tiger – by leaders of the 13 tiger range countries and NGOs working to protect tigers from extinction. They pledged that together they would focus on doubling the wild tiger population before the next Year of the Tiger (2022). At the time, the global population was estimated to be around 3200 having fallen from 100,000 in the early 1900s and with three subspecies having gone extinct. Eight years on and just over half way, some populations have come ‘roaring’ back while others are plagued by poachers and habitat destruction. As these populations get smaller, disease has an ever-greater effect on numbers. WVI has supported conservation and government organisations conserving the Amur tiger since our conception in 2004. In the early days big cat vet Dr John Lewis would head out to the Russian Far East expecting to spend at least eight weeks in the taiga forests. There he would be working with a multidisciplinary team trapping and radiocollaring Amur leopards and tigers to find out more about how they use the landscape and collecting biomedical data. Over the years, results from samples collected and analysed fed in to the Amur Leopard Disease Risk Analysis which has been used to advise the leopard reintroduction plan, and to other research projects. The discovery of the significant effect Canine Distemper Virus can have on small Amur tiger populations (Seimon et al., 2013), the clear need for more extensive disease surveillance and the generally poor wildlife veterinary capacity available to support conservation activities for free-ranging tigers, have all convinced Dr Lewis to start developing the Wild Tiger Health Centre website – a comprehensive veterinary information resource for wildlife vets and biologists working with wild tigers. The Wild Tiger Health Centre is in its early stages of development but will provide a one stop hub for veterinary information relevant to the conservation of wild tigers – disseminating information and delivering on-line training. By pooling the expertise of a number of wildlife vets and biologists from different organisations the website will provide a high quality of easily available information free of charge to field vets in all tiger range states. Core to WVI is the belief that conservation can only be sustainable through partnership. So by also providing a contact list of specialists in the field willing to help others, it is our intention that connectivity between wildlife professionals can also be encouraged. And the content?? Coming soon………………. 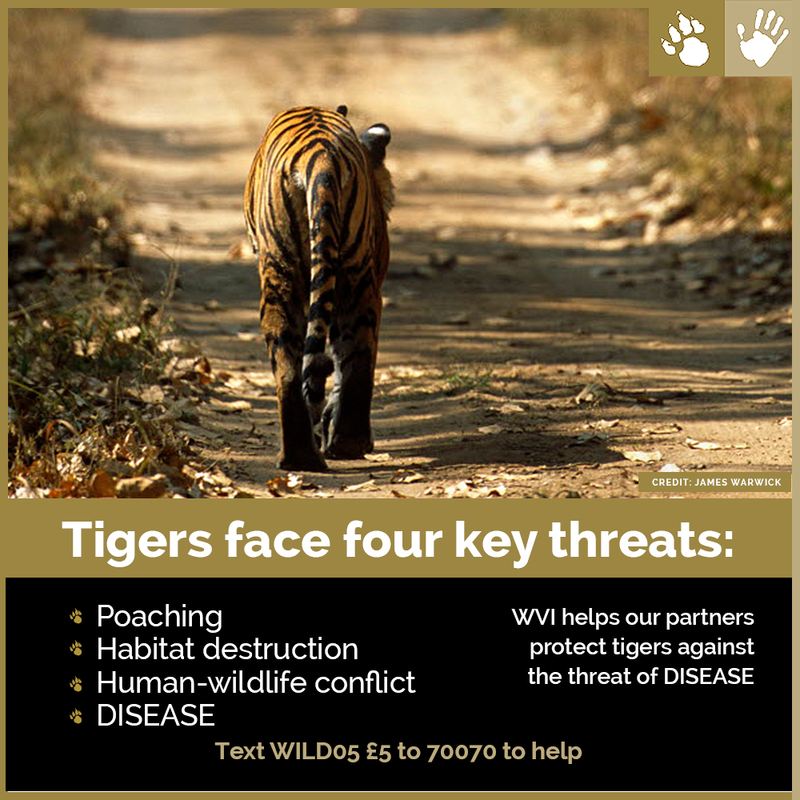 To support our Tiger Health Programme please text WILD05 £5 to 70070 or donate online here. Seimon TA, Miquelle DG, Chang TY, Newton AL, Korotkova I, Ivanchuk G, Lyubchenko E, Tupikov A, Slabe E, McAloose D. 2013. Canine distemper virus: an emerging disease in wild endangered Amur tigers (Panthera tigris altaica). mBio 4(4):e00410-13. doi:10.1128/mBio.00410-13.